This potentially life-saving system continually evaluates signs of fatigue, such as steering movements and other independent signals. If fatigue is detected, it warns the driver with an audible alarm, and visually, on the console, recommends the driver takes a break. 8.Safety technologies are designed to assist the driver, but should not be used as a substitute for safe driving practices. Using sensors, this genius feature informs you with illuminated symbols on each of your side mirrors when there’s a vehicle in your blind spot. Blind Spot Monitor is available as part of the optional Driver Assistance Package. Comes with a standard seven airbags, including front, front side, front and rear curtain and driver’s knee. So if something does go wrong, you’ll be pleased you’re in a Golf. 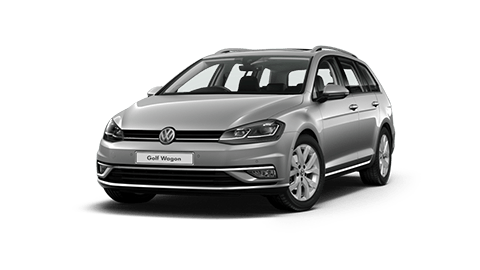 The Golf Wagon introduces Gesture Control; a truly interactive feature that allows you to navigate through various menus including radio stations and more through a simple mid-air swipe of the hand. Available on the Discover Pro 9.2” display as part of the optional Infotainment Package on Comfortline and Highline variants only. 3.Gesture Control available with the optional Sound & Vision package on Golf Comfortline and Highline variants only. Goodbye analogue, hello digital with the Active Info Display4. This feature replaces the traditional instruments that sit behind the steering wheel with a 12.3” high-definition digital screen and puts everything you need, right in front of you with configurable views for navigation, infotainment, driver assistance and vehicle performance functions. 4.Active Info Display is available with the optional Infotainment Package on Golf Wagon Comfortline and Highline variants only. 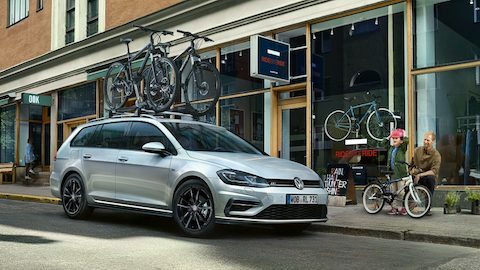 Innovation goes beyond driver features in the Golf Wagon. Passengers are given more control, with less distraction for the driver with the new Media Control feature. By downloading the free Media Control App, compatible with Android & iOS, you can turn a smartphone or tablet into a remote control for the Volkswagen Infotainment system enabling users to control selected functions such as navigation, radio station selection and media data. 5.Media Control is available with the optional Infotainment Package on Golf Wagon Comfortline and Highline variants only. 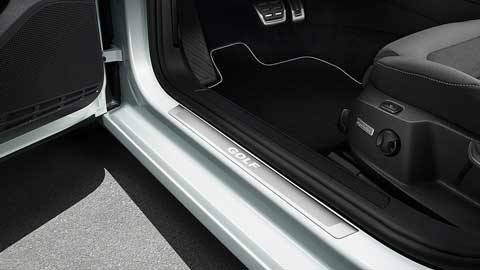 Individualism is taken to a new level with the Golf Wagon’s personalisation function. Set your preferred driver settings including driver seat configuration (Highline), air conditioning, radio station, safety assistance and more, directly to your key. Even with multiple drivers, your personalised settings remember you and adjusts accordingly, making for a more personalised driving experience every time. 6Personalisation function is available with the Driver Assistance Package. Brake energy recuperation recharges your car battery using the energy created from braking or when coasting. Because the battery is charged, the voltage in the alternator can be reduced which means lower fuel consumption. How you drive is up to you with a choice of selectable driving profiles: Normal, Sport, Eco and Individual. 7.Driver Profile Selection is available with the optional Driver Assistance Package. A radar sensor detects when the distance of vehicles in front are critical. It visually and audibly alerts you, as well as prepares the car to be more responsive for emergency braking. 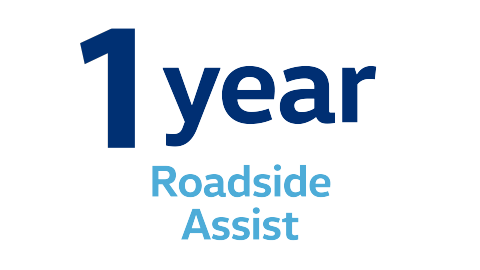 Lane Assist is a lane departure warning system that is designed to help reduce the likelihood of the vehicle leaving the road or crossing into on oncoming lane and therefore the risk of accident as a result of driver distraction or a lapse in concentration. The Lane Assist system monitors the road ahead with the aid of a camera (located near the interior rear-view mirror) which recognises lane markings and evaluates the position of the vehicle. If the vehicle starts to leave the lane, the Lane Assist system takes corrective steering action. If this is not sufficient the driver is warned about the situation by a steering vibration and is asked to take over the steering. Additionally, if no active steering movements by the driver are recognised for longer than approximately 8 seconds, a message will appear in the Multi-Function Display in conjunction with a warning tone. The corrective steering function can be overridden by the driver at any time and the system does not react if the turn indicator is set before crossing a lane marking. When adaptive lane guidance is active and the system detects both lane markings to the left and right of the vehicle, the function provides permanent assistance while the vehicle is in motion. The system adopts the preferred position within the lane in which the vehicle is travelling. For example, if the vehicle is being driven slightly off-centre in the lane, the system will learn to adopt the new position within a short period of time. Light Assist provides enhanced comfort and safety on the road by means of automatic high beam control. A camera on the interior mirror observes the traffic above 60 km/h and in complete darkness, Light Assist automatically switches on the high beam headlights. The system detects vehicles travelling ahead, as well as oncoming traffic and automatically dips the headlights before they are dazzled. Automatic alternation between high beam and low beam headlights ensures optimum illumination of the road ahead. 8. Safety technologies are designed to assist the driver, but should not be used as a substitute for safe driving practices. In congested traffic situations, Traffic Jam Assist makes driving significantly more comfortable and helps to avoid typical rear-end collision accidents. The Traffic Jam Assist function combines the driver assistance systems Adaptive Cruise Control (ACC) and Lane Assist with adaptive lane guidance. In a speed range of 0-60km/h, the system automatically controls acceleration, braking, steering and if required, will decelerate to a stop behind a vehicle that is stopping. Emergency Assist monitors the driving characteristics and recognises, within the limits of the system, if the driver suddenly becomes incapable of driving (due to the vehicle not being controlled). Emergency Assist detects a lack of activity on the part of the driver and issues repeated visual and acoustic warnings and initiates a quick jolt of the brakes to request the driver to take control of the vehicle. If the driver remains inactive, the system automatically controls acceleration, braking and steering to slow the vehicle down and keep it in the lane. If there is sufficient stopping distance, the system decelerates the vehicle to a complete stop and switches on the electronic parking brake automatically. When Emergency Assist is actively controlling the vehicle, the hazard warning lights are switched on and the vehicle performs a slight snaking motion within its lane to warn other road users. Ideally this will prevent a collision, or at least reduce its severity. The Golf Wagon has the latest in new generation infotainment complete with smartphone glass appearance. The Trendline variant includes the Composition Media 8" Display and Comfortline & Highline variants the Discover Media 8" Display. Add on the Infotainment Package (available on Comfortline and Highline variants only) and receive the 9.2" Discover Pro Display including new intuitive technology and 10GB of available storage. The latest Golf Wagon also comes with App-Connect2. Access your smartphone’s interface, selected apps, maps, and music through App-Connect2 on your console’s touchscreen – using Apple CarPlay® MirrorLink® and Android Auto™ interfaces. 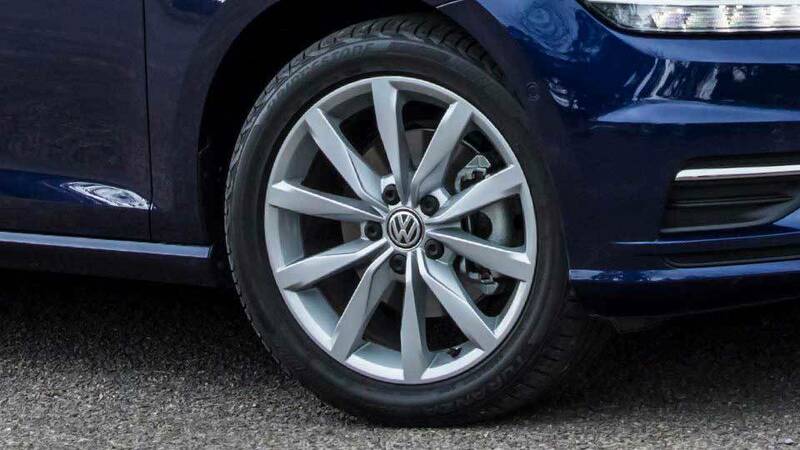 The Golf Wagon rolls in style with 16” Toronto alloy wheels as standard and the 17" Karlskoga alloys for Highline model or make a statement with 18” Sebring alloys with the optional R-Line package. 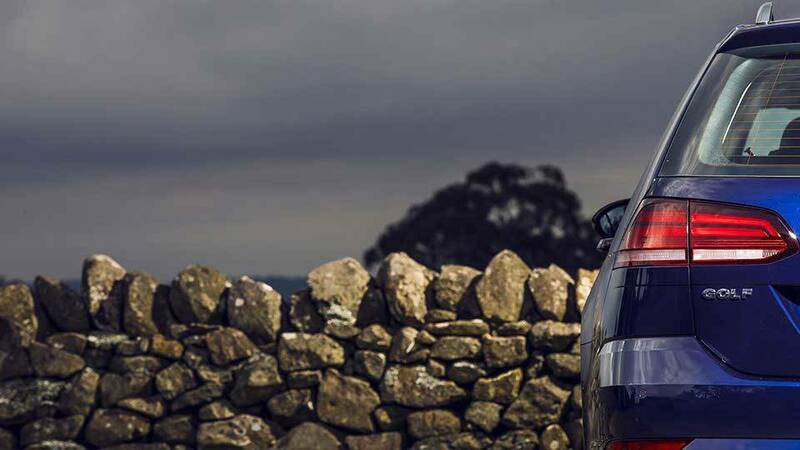 LED Daytime Driving Lights and LED tail lights increase your Golf Wagon’s visibility at any time of the day. Bright enough to be noticed without dazzling oncoming drivers, the addition of these lights are now standard across the range. The minute you get behind the wheel of a Golf Wagon, you’ll be transported. 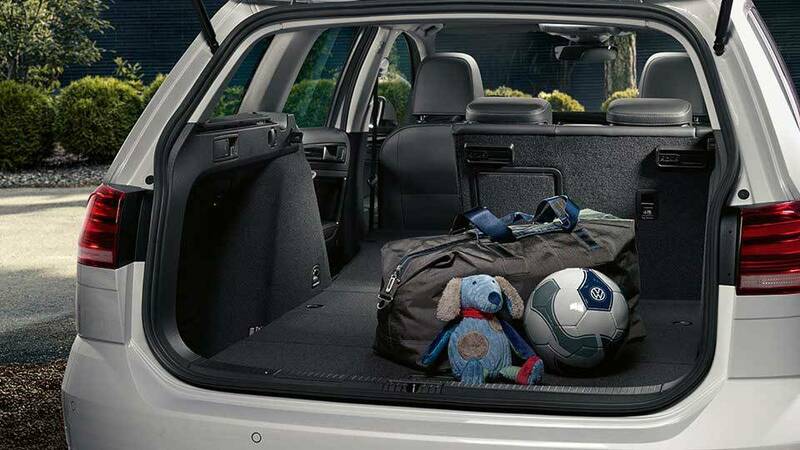 The Golf Wagon's interior presents a balance of comfort, style and ergonomics. The driver-focused dash is every bit impressive as it is functional, while the choice of Black or Pure Grey Vienna leather appointed upholstery1 in Highline variants offers even more luxury to the driving experience. The 110kW TSI is a highly responsive turbocharged 1.4 litre engine, which pumps out 110kW of power and 250Nm of torque and with super-low fuel consumption of 5.6L/100km9 DSG, you get the best of both worlds. 9. Fuel consumption figures according to Australia Design Rule (ADR) 81/02 derived from laboratory testing. Factors including but not limited to driving style, road and traffic conditions, environmental influences, vehicle condition and accessories fitted, will in practice in the real world lead to figures which generally differ from those advertised. Advertised figures are meant for comparison amongst vehicles only. 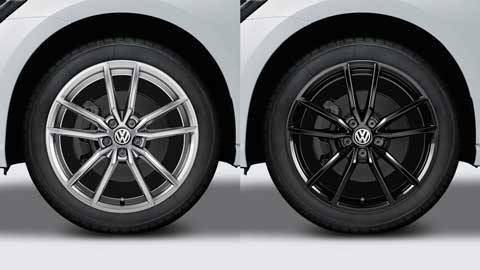 Volkswagen genuine alloy wheels that deliver everything Volkswagen Accessories stands for: Safety, Quality & Dynamic design. 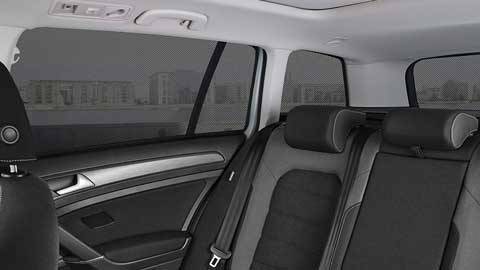 The Volkswagen Sunblinds can be used as optimal sun protection, as well as for thermal insulation. One set for the rear window, rear door windows and luggage compartment side windows. Now with the quietest back seat ever. Keep your passengers entertained on long journeys with the Volkswagen Tablet holder. Protect your luggage compartment from dirt and moisture. 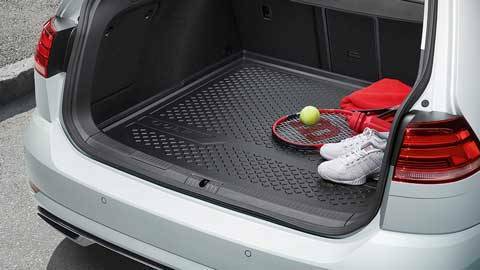 The robust and durable boot liner is acid resistant and embossed with stylish Golf lettering. 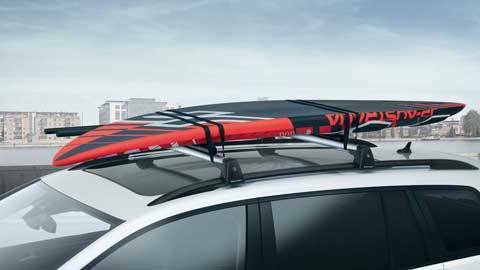 Golf Alltrack shown. 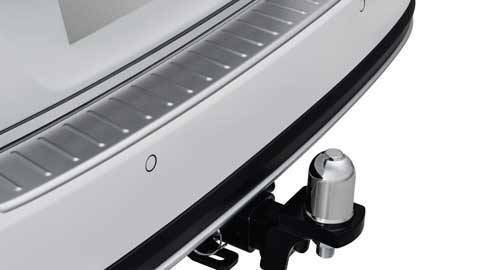 Towing capacities are applicable to Volkswagen Genuine Accessory Tow Bar. 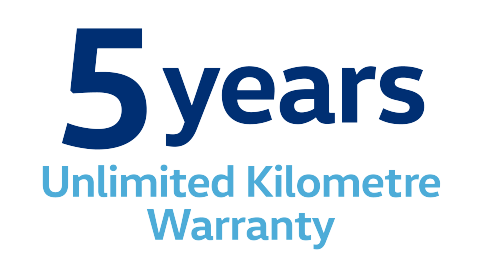 Towing capacity figures are maximum figures and actual towing capacity depends on factors including the laden mass of the vehicle, driving conditions and fitment of any accessories. 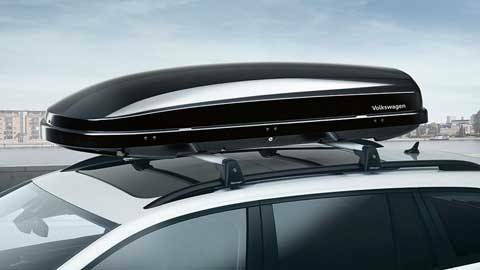 The black high gloss look roof box is available in 340L and 460L capacity and has an innovative "DuoLift system" which allow opening from both sides as well a 3-point central locking system. 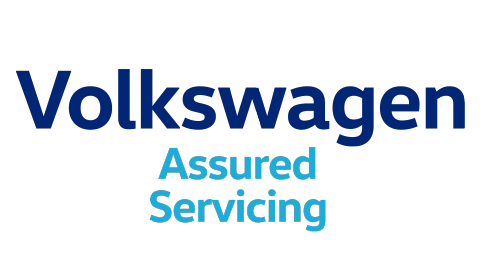 Take a closer look at the information for the Volkswagen Golf Wagon.